Let's Talk About Deforestation - Planet Aid, Inc.
On Friday, April 28 the U.S. celebrates Arbor Day! This holiday, started in 1872 by J. Sterling Morton, brings recognition to the importance of trees. Thanks to Morton and his love of trees, many thousands are planted each Arbor Day. Unfortunately, the thousands of trees planted each Arbor Day isn't enough to make up for the deforestation that destroys millions of acres of forest each year. 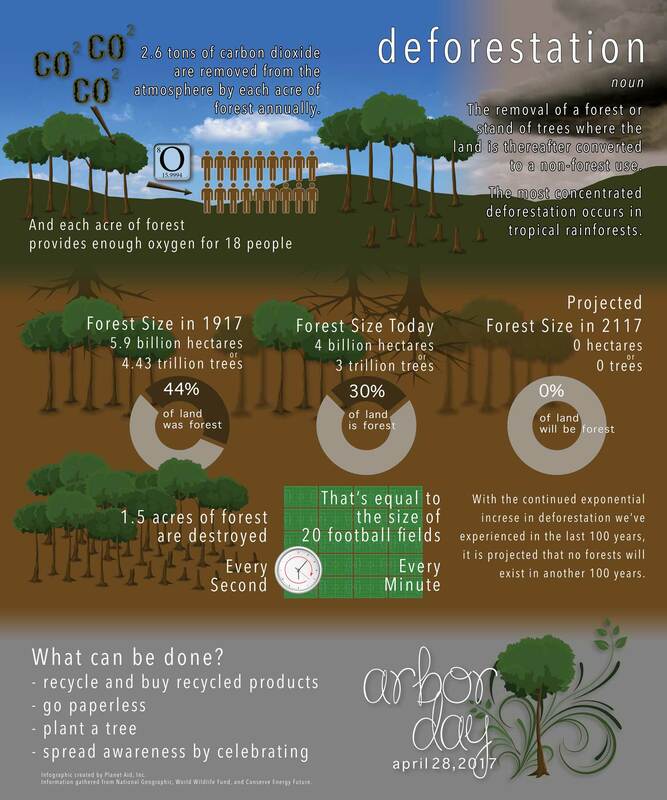 Below are some quick facts about deforestation and what you can do to help.